It is important to have a tool that’s not to big or too small for the intended user. An axe that has too heavy or too light a head, with a handle that is too long or too short, is an axe that poses a potential danger to the user and to bystanders. A light hatchet head might be one to two lbs (0.5 to 1 kg). A typical forest axe is 2-1/2 to 3-1/2 lbs (1 kg to 1.5 kg). A splitting axe is in the same range. A splitting maul might be 4-1/2 to 8 lbs (2 kg to 3.5 kg). An axe that is too light or too heavy will be more work to use, the first because it is uncomfortably heavy and the second because more swing effort will be required to drive the light head. A stronger person may be more comfortable with a heavier axe head. 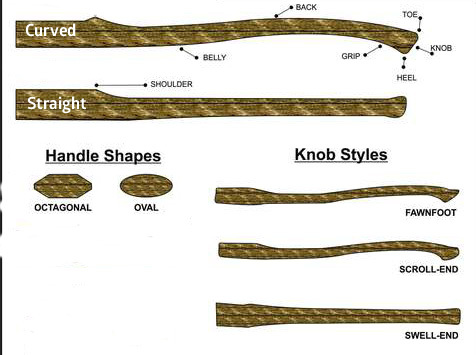 Axes come in a range of lengths for each type. A camp axe will be 20″ to 24″ (500 to 600 mm). Generally the shorter handles also have lighter heads. Because an axe is a lever, the force of the head is magnified by the handle. A handle that is too long takes excessive effort to wield and will be dangerous in the hands of a small or unskilled user with insufficient strength (who will choke up on the handle, compounding the danger), while a handle that is too short cannot apply sufficient force and may strike at an awkward angle. Generally speaking, a taller user might be more comfortable with a longer handle. A smaller user or a youth will find both a lighter head and a shorter handle to be convenient. There may also be carrying considerations – backpacking or canoeing may dictate a shorter, lighter axe, for example. For most efficient cutting and greatest safety, choose an axe that is right for the job, with a head weight and handle length that suits the strength, frame, and skill of the user. I once had a terrible university prof. Instead of teaching the course, he just listed study after study that we had to memorize. There seemed to be no order; just random studies. Many of his students were failing the course and considering lodging a complaint to the dean. I actually loathed the man. A few students were managing passing grades. I approached them and asked what they were doing. Their answer was that they carefully noted the order in which the studies were presented and on exams carefully regurgitated them in that precise order. One day, around mid-term, it occurred to me that each study either blocked off a false line of inquiry or led to another approach…which the next study either blocked or clarified. The studies were arranged with an inexorable logic like bricks building a wall. It was an innovative and unusual teaching method, with the students left to figure it out or not. The professor never explained this (would have made sense to have done so, and certainly helped his class) but once I understood what he was doing, I began to get top marks in the class. Not only could I recite the studies in the proper order, I was able to explain the logic and order and what each study contributed to the growing body of theory. Once I had “got it”, we got along a bit better. He turned out to be like Dr. Cooper on “Big Bang Theory”, a brilliant man with quirky social (and teaching) skills who later became my mentor for my Honors Thesis. In 2005, I began a series about axes on an online writing site, Suite101. I’ve used a variety of axes since adolescence, did a stint of logging with my father and uncles, took some survival courses that involved axe work, and was later involved as an instructor with Scouts Canada, all of which I felt gave me enough knowledge to be a reputable source. The series was popular and drew many comments, which unfortunately I was not able to recover when Suite101 was taken offline. However, I did manage to salvage the original articles, which I hope to re-post in the next few months. What foods are dangerous/toxic after their expiry date? We’ve had a hard time convincing our wasteful kids that a “best before” date is a guideline, not a “throw away before” date. Is it really all that dangerous to consume “expired” foods? Foods that are fresh, that have been handled frequently, and that are unprocessed are a bad bet. Meat, leafy vegetables and their juices, soft cheeses come readily to mind. They might not even make it to the “expiry” date. On the other hand, you know that things like apples and citrus will last a fair while on the counter, even longer in the fridge. Processed foods, frozen foods, treated foods, dried food, preserved foods — these will last considerably longer if properly stored in undamaged containers/packaging. Mankind has been storing food in various ways throughout our history — drying, salting, freezing, submerging — and mostly it works. The food lasts, and it doesn’t (usually) make us sick. 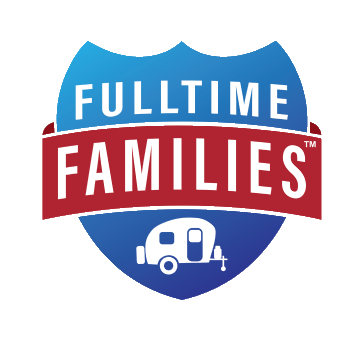 Things like beef jerky and freeze-dried food in their original sealed pouches, dry macaroni, unopened crackers, dry cereal and the like can conceivably last months or even years past their recommended date. They don’t have enough moisture for harmful bacteria or molds to grow. Even mold on bread or hard cheese does not require discarding the food. Cut away the moldy parts, with a good margin for safety, and the rest is okay. Canned food, and sealed foods like jam or pickles, work by keeping nasty microbes out. Canned food is usually dated for two years, but provided the cans are not dented, leaking, rusty, or bulging, they should be good for two or three more years. You might have to put up with a stale taste or freezer burn, but those things are not necessarily dangerous. Tucked up in a cupboard in our cabin, which is unheated in the winter and can get pretty hot if unattended in summer, we had some freeze dried meals that we’d forgotten about. We took them down and found they were five years past their “best by” date, which was 1 year after purchase. So they had sat for six years through numerous freeze/thaw cycles. We cooked them according to package directions and they were fine. Well, as fine as dehydrated meals ever are. I reported this the the manufacturer, who said they were required by law to put that one-year expiry date. They had been in business for over 10 years and their first products were still okay and as far as they were concerned the things should be good for a century. But that’s a special case — a food specifically designed and packaged for longevity, with an artificially low expiry date. Conventional wisdom is “If in doubt, throw it out.” Millions of dollars of perfectly good food hits the landfills using that principle. Generally speaking, if it looks okay, and smells okay, and its package was intact, and it’s not too far past the expiry date, it’s probably okay. That’s a lot of ifs. Here’s one more: If you’re a competent adult, you can make a choice to play food roulette. Chances are pretty high that you’ll survive. He explained that many people are like garbage trucks. They run around full of garbage, full of frustration, full of anger, and full of disappointment. As their garbage piles up, they need a place to dump it and sometimes they’ll dump it on you. 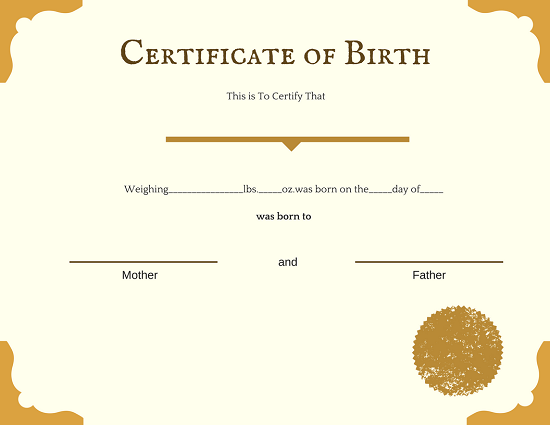 A birth certificate is an official government document that records the details of a person’s birth. Minimum information will be the name, date and place of birth, and parents of the individual. From at least the time of ancient Egypt, the state has wanted to keep track of its citizens through birth and census records, largely for tax purposes. In modern times, birth records help determine future needs for education, health, and other social programs. Why get a birth certificate? A birth certificate constitutes proof of identity; the mere possession of the birth certificate is a first step towards obtaining other documents such as a passport or drivers license. Whether you want a birth certificate for obtaining other documents such as a passport or for documenting a family history, you need to apply to the government in the place of birth. Most governments maintain a specific office for dealing with the “vital statistics” of birth, marriage, and death, though some jurisdictions may privatize the local permit offices. How to get a birth certificate? paying a fee for the service. This process may be done online for some states or provinces; in others it might be necessary to physically visit the appropriate government office. Some places may have the records digitized and be able to provide a print copy immediately; other locales may require a wait of up to several days or weeks. While parents were probably issued an original certificate at the time of birth of the child, any certificate obtained by the methods above will be a duplicate or extract, an official copy that has the legal force of the original. Can I get Uncle Joe’s birth certificate? If you are doing genealogy or family history, there may be limits as to what (or whose) birth certificate you can obtain. It is probable that in most countries, historical records of over a certain age — 30 years, for example — are coPnsidered public documents, because the individuals involved are deceased (there is still some debate as to what “rights” a deceased person may have). In other cases, you might need to prove a relationship to the person whose records you are seeking in order to obtain the information. Birth certificates are useful to have, whether for proving identity, obtaining other documents, or pursuing family history.